The Panteon de Goya (Goya's Tomb) is situated in the Glorieta de San Antonio de la Florida, and is known as Goya's Sistine Chapel. The artist decorated the dome and cupola of the little chapel with a fresco depicting the miracles of St Anthony, with the use of sponges, a project that took six weeks to complete. Amazingly, Goya persisted with the project despite the fact that he was struggling with deafness and apparently felt dizzy most of the time he was working on the ceiling. Mirrors have been placed in strategic places to provide better glimpses of the art. The chapel also contains the artist's tomb. 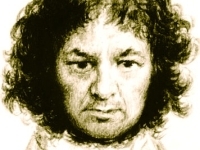 Goya died in Bordeaux in 1828 and was buried there, but his remains were brought back to Spain in 1919 and entombed in the chapel. Interestingly, the tomb also contains the remains of a relative of Goya's, alongside whom he was buried in Bordeaux. The art work in his final resting place is more bright and cheerful than is typical of Goya, but his inclusion of ordinary working class people, not to mention prostitutes and beggars, angered the Spanish nobility; luckily his patron, King Carlos IV, approved of the fresco. Next door to the Ermita there is a replica of the chapel, which is used for religious services, so as to preserve the original as a museum. Address: Glorieta San Antonio de la Florida 5. Opening times: Open from 9.30am to 8pm, Tuesday to Friday. On weekends the chapel is open from 10am to 2pm. Closed on Mondays and public holidays.